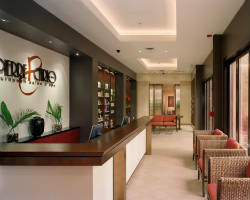 Forever and elegance are combined in the town’s finest salon and day spa. The Body Klinic Day Spa knows what you need for that dream wedding. It offers laser hair removal treatments and body contouring for the most affordable skin surgery services on every couple at midtown. The Body Klinic Day Spa also takes pride of its medical team bearing years of professional experience in laser surgery and body regimen. They are there to help brides gain more confidence they would need on the big day. With its services, feel special and guaranteed of complete deals. 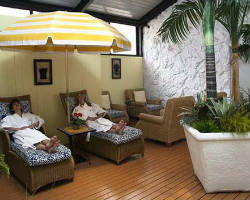 The spa also takes joy in having a resort inspired ambiance that is eco-friendly and green in certain ways. The Body Klinic Day Spa lets small weddings have big endings on a top wedding day in Pennsylvania. Soft winds and roses, music and madness, walk in love at the red carpet with Rapunzel’s Salon & Spa premier bridal hair updos and arrangements. Picking Rapunzel’s Salon & Spa as your wedding salon and day spa vendor is an ideal pick in couples at Pennsylvania. In very affordable prices, a set of hair styling experts is there to help guests to know the perfect hair texture, treatment and makeup styles for them. Rapunzel’s Salon & Spa offers the finest services in hair cut, color and styling; full service massage; weddings and formals; spa packages; skin care services and waxing. And, for getting that desired dazzling look, V.I.P. salon and day spa brands are featured for clients. Go to the Rapunzel’s Salon & Spa for the best experience in life! Have wonderful body rituals and hair styling at Jolie Salon & Day Spa and get classic spa treatments in the most affordable deals in town. Choose from a list of great great day spa Services like Light Therapy, Chemical Peel, Microdermabrasion, Waxing, Body Treatments, Massages Aesthetician Services, Spa Services, Add-On Treatments and Ultrasonic Facials. At Jolie Salon & Day Spa, each body regimen package comes highly qualified products known to the market with the most natural oils, plant, algae extracts, caffeine, hot and cold thermo agents. They are helpful for a healthy glow and natural looking skin today. 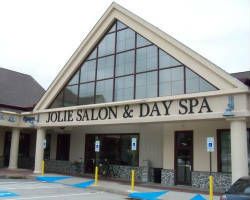 Jolie Salon & Day Spa is the quickest place to couple’s hearts in weddings. Release amazing beauty secrets for the best wedding celebrations. Pierre & Carlo is open to guests with the top European spa and salon services with a rare world class treatment in hair, nails, face and waxing procedure. In face and body care, get sumptuous skin benefits with the Pierre & Carlo's signature treatments, like the signature facial, which is carefully crafted to restore and revived the skin’s health and texture. This would also cover a face, neck and scalp massage; deep cleansing exfoliation; extractions; and a calming finishing mask. Drop by at Pierre & Carlo’s right away and bathe in the world’s most special herbs to long for! Nothing is real, until you find the top wedding packages in day spas today. 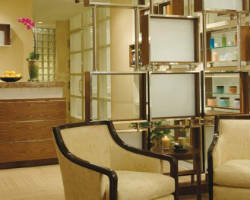 The Four Seasons Hotel - Philadelphia Day Spa will look great as a complete wedding celebration. It has been known in the business for more years now than other day spa venues. The Four Seasons Hotel - Philadelphia Day Spa is able to offer affordable local body regimen procedures of Med Spa, Hair Salon and Spa Services. For the most glamorous Vegan nail polish and hot stones among Philadelphia Spas, The Four Seasons Hotel is well admired for its showcase of modern ways in treating nail care and body regimen, today. Be in a place close to the garden of Eden. Only Toppers Spa/Salon has the most stylish choices among spas in Philadelphia, PA. Toppers also possesses the great hands of talented hair stylists and estheticians experts. Nothing but only organic products are used to treat facials, peelings, dermabrasions, hair care and body massages with the top brands today. What’s even great, these services can also be applied even on changing seasons like an organic fruit peel in December. At the site, guests can avail of gift certificates to get a nourished and positive skin wellness in affordable prices and giveaways. Drop by them today! Receive a passion for perfection and feel beautiful on your wedding day. At Rescue Spa, unite your body and soul, submerge in tired muscles, European Ambience and serene sanctuary. Try their top body regimen deals for the best wedding celebration. Numerous client reviews have acclaimed to the success of Rescue Spa’s high level performance, when the talk is about what is the town’s best choice among spas in Philadelphia. Situate yourself in a rejuvenating course. Replenish. Relax and galore in a place to treat yourself to life’s sweetest moments Rescue Spa has the right thing in luxury body spa and full skin regimen care for you.